A Choice of Mobile Valeting Services. 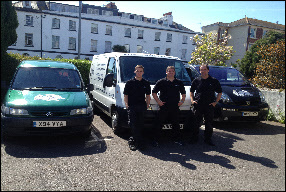 Service available to: Portland, Weymouth, Dorchester, Bridport & Yeovil Areas. We have over 20 years experience in professional car valeting. We can offer the tradional wash & wax or the revolutionary new waterless system for those conscious of the environment. We clean cars, vans, motorbikes, trucks, lorries, vehicle upholstery, HGV, LGV, caravans, boats, trailers and even agricultural machinery. – Personal care assured at all times. We Use the Incredible Snow Foam Technology ! A Fanstastic Solution that Clings to the surface and emulsifies the dirt, so it can be rinsed away with ease ! – Also it contains wax to protect the paintwork after its been rinsed, so its more resilient to every day soiling and the elements ! Just ask about this in the quote form to get a FREE quote and details of all valeting services ! We use the cleaning beast that is The Panther, a petrol driven 20hp kohler engine high pressure unit. – This is what we use for some serious power washing of cars & for fleet vehicle valeting. It can run all day long, provide constant hot water and make light work of even the dirtiest of vehicles. Pure power ! 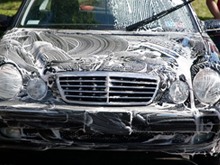 – Give us a call today and we’re be happy to discuss your valeting needs. Serving customers throughout Dorset & South Somerset. 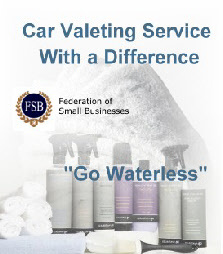 A full range of environmentally friendly valeting supplies available. Please ring for details and a price list. Call us on 01305 860133 or 07771 628546.